Old drafty windows, cracked sidewalks, poor insulation and damage from a leaking water heater are issues that need to be addressed in the home that belongs to Amir Mian and Bushra Chohan. 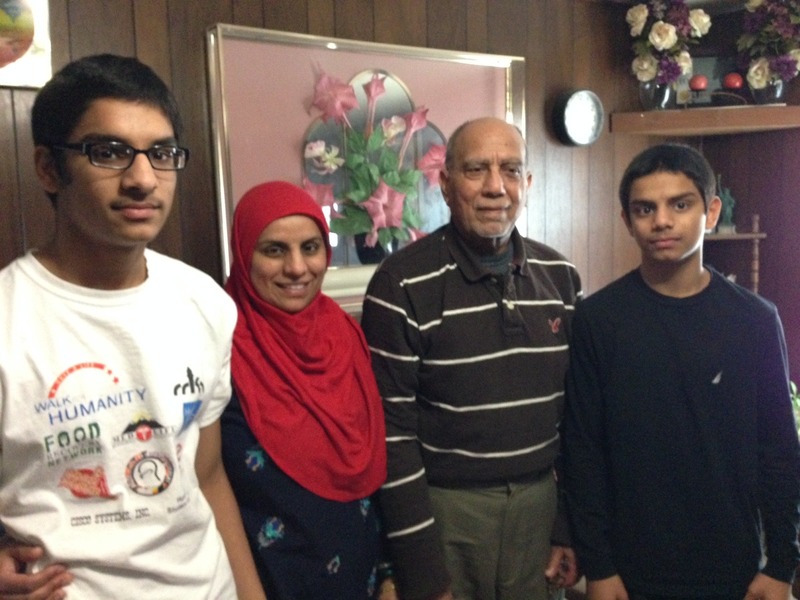 Proud parents of five children, two of whom still live in the home with them, the Mian Chohan family enjoy spending time with their family, especially since they were separated for awhile while immigrating to America from their native Pakistan. Bushra moved to America with one daughter about fifteen years ago. She joined her parents and siblings in Florida and later moved to New York, earning her living as an esthetician and dispatcher. Amir brought their three other children later. Their youngest daughter, who is now twelve, was born in America. Amir makes his living repairing vehicles. He’s built his business through word of mouth and carries his tools to wherever the vehicle happens to be located. He performs the repairs that don’t require a lift and that are necessary to keep the vehicle in running order. He calls them “running repairs”. It’s not easy to move your family to an entirely new country, rebuild businesses and careers on new soil, and make everything work but the family feels it has been worth it. When asked if their older children had a hard time adjusting, Amir said “No! Absolutely not. Because we were together again as a family. And that’s more important than anything.” We’re ready to give this family a “hand up” and hope you’ll join us with your donations and volunteer time. We look forward to working with you!